Alfred K. Newman, a Navajo Code Talker, died at the age of 94. 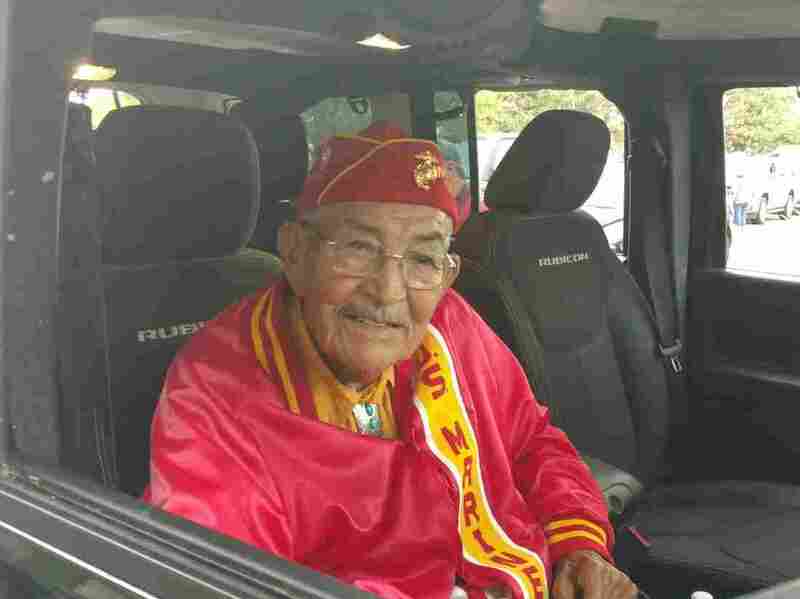 One of the last remaining Navajo Code Talkers, who relayed messages that were never decoded by enemies in World War II, died at the age of 94. Alfred Newman died Sunday afternoon at a New Mexico Nursing Home, one of his sons, Kevin Newman, NPR says. He says his father was a quiet but brave man. "My father told me that the US was in trouble and when they asked for him, he needed to answer this call with the armed forces," he says. As a boy, Alfred Newman attended a boarding school, which like many schools at that time forbade Indian students to speak in their native language, Dine. The complex language proved to be crucial for the United States during World War II. When the Japanese blast classified US military codes, the armed forces turned to members of the Navajo Nation. The messages they sent in the Pacific were impenetrable to enemies. Newman joined the Marine Corps in 1943, after the attack on Pearl Harbor. He served in places like Guam and Iwo Jima. In an interview, he said that because there was no word in your language for thought, he would describe colleagues about turtles, "cheh-tal-hes". The word for bomb was potato. Newman was honorably discharged at the end of 1945. Then he worked as an ammunition inspector and on an open pit memorial that monitors blasting, his son says. "He loved sitting on the porch of Whiskey Creek Canyon, where they had a cabin," says Donna Newman, a sister-in-law, NPR. "He loved seeing the animals, chipmunks and wild turkeys passing by. He was the first to see them." As NPR previously reported, Code Talkers returned to the US without glory or fanfare. The program was kept secret until 1968 because the military continued to rely on their encrypted language. Newman with his sister-in-law, Marian. In 2001, President George W. Bush honored 21 Code Talkers to give "their country a service they could only give." He called their work "a story of old people, called to serve in a modern war." Newman was awarded medals, but "who wants to drag the big stuff around?" he said. "He never wanted recognition," says Kevin Newman to the NPR. "He was very humble about it. It was just a duty for him." 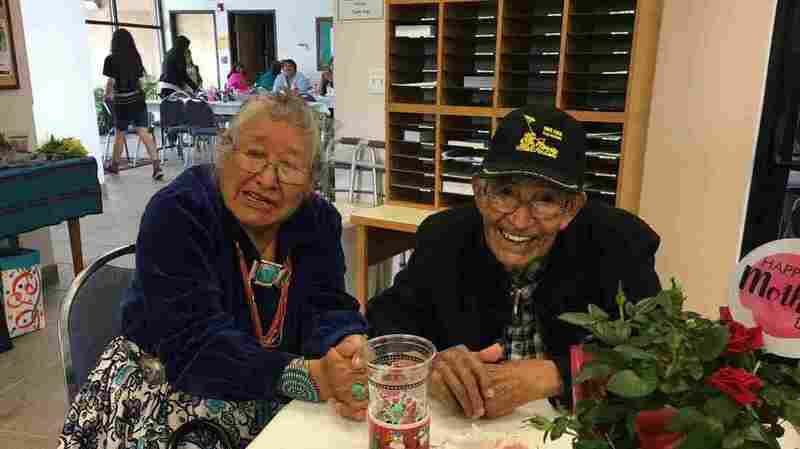 He added that his father never talked about his time as Code Talker and that he only learned about his father's service in the 1980s. Navajo Nation President Russell Begaye describes Alfred Newman as "a hero" who "stood among giants. We will be forever grateful for his contribution and courage as well as for each of our Navajo Code Talkers. They are national treasures." At the end of the war, more than 400 Navajo men were trained as Code Talkers. According to Navajo Times, there is no official count of the remaining Code Talkers, but "most agree that there are less than 10".